Weirdest experience ever in a coffee shop. New coffee shop in Alton which I had passed some weeks ago with a sign promising artisan coffee. Fancying a decent coffee I decided to pay a visit, even though out of my way on a cold wet November afternoon. What was the coffee like? Chatting with who I took to be the owner, she refused to serve me a cappuccino on the grounds I appeared to know a lot about coffee and she would not wish to disappoint me. I then asked for a V60. Again refused as on a high shelf and too much trouble to get down. To say the least, her behaviour was bizarre. Equally bizarre, her claim that the owner of Krema had helped her to establish the coffee shop, as he had not and it was news to him that he had. The cafe, I would not call a coffee shop, screams fake. Fake plastic marble counter and table tops, wallpaper fake exposed brick wall. I was sat adjacent to a fake log fire giving out no heat. The day before, in Coviar white marble from Tinas, also green marble, maybe a darker marble too. In the restroom, a long marble wash basin. No surprise the coffee shop empty. It could be serves great coffee, but I was not permitted to discover. The reviews on TripAdvisor all singing from the same hymn sheet, written by people who by their own admission frequent Caffe Nero or Costa. I have spent several weeks with the elite of the coffee world, everyone knows everyone. What I find is openness, a desire to innovate, open minds, willingness to share. No one will say I do not wish you to try my coffee. Quite the opposite, try this, what do you think? A speciality coffee shop is a welcome addition in any town, especially a dying town like Alton where there is no decent coffee, and once one arrives, others follow. The only way Alton will recover is by way of quality indie businesses, from the bottom up. Late lunch at Italian coffee shop Bottega dei Sapori where once I used to eat regularly. The food was good, the service terrible. A long wait, I went to the cake counter and ordered. Soup and main course delivered together. Main course I sent back, with orders not to bring back but to cook fresh. No butter for the bread. Baffled why each serviette stuck down. Tea is tea pigs, another small business taken in by marketing. Coffee has changed, now supplied by Winchester Coffee Roasters. I have had twice elsewhere, not good. I ordered a cappuccino. Then went and told them not to dump chocolate on top, as I would only have sent it back. They would have otherwise served with chocolate and not asked. Served too hot, not good. But then from previous experience with Winchester Coffee Roasters, I was not expecting anything better. Bottega dei Sapori need to improve their tea, their coffee and their service. The world has moved on, will no longer get away with poor quality tea and coffee, poor service. Visit Winchester, see what indie coffee shops Coffee Lab and Flat Whites are serving as tea and coffee, look at their delicious mouth-watering cakes. These little indie businesses need to get their act together, otherwise they will not exist. The day before, I had a Vietnamese dish in Pho in Guildford and it was excellent. Strange weather, warm one day, cold the next. Yesterday warm in Guildford, today cold in Alton. Had I not missed a bus, I would have caught an earlier train, and seen a steam train at Alton. I would usually walk into Alton, but as a bus was about to leave, I hopped on the bus. I had no idea what a Regency Day was, I had seen mention as I passed through on my way to Winchester earlier in the week. At the far end of the town a pathetic farmers market already packing up and it was not yet three o’clock. And the stallholders were complaining they usually leave at two. Then a few craft stalls, and that was it. I saw a couple of soldiers but not as I expected to find, people in period dress, though the two soldiers were two more than I had seen at Aldershot Victoria Day the week before. I learnt, had I been there in the morning I would have found people in period dress. Cafe Plus I have never found open. I walked through the open door, to be told they were closed. As only a little after three o’clock I queried why they were closed. We close when we run out of food. But are you not a coffee shop, do people not pop in for afternoon coffee? We close when we run out of food. The coffee catering supply coffee so not missing out. It was then late lunch at little Italian coffee shop Bottega dei Sapori. Food fine, the service terrible, the coffee not good either. I then had a little wander through Alton, but not through the water meadows. I used to like Alton, an unspoilt little market town, but not any more. Many closed shops, too many indie places closed, the little wholefood shop, O’Connor’s Secret Garden, Brock’s Farm Shop, and now the excellent greengrocer has gone. Alton once had an excellent food market, Hampshire farmers took over the running and destroyed it. Wandering back through the town I saw people in period dress. With blankets and wicker baskets they appeared to be heading to a picnic. I looked in the bookshop, at least it is still there. They were closed, but said come in. Had I not popped in, I would have caught a steam train leaving as I approached the station. Alton Regency Day is the start of a week of commemoration of Jane Austen, who lived at nearby Chawton. Bikers Night Christmas dinner at Alton Station Cafe. Wednesday night is Bikers Night at Alton Station Cafe, a wooden shack outside Alton Station. On my last visit, three weeks ago, I was invited to the Bikers Night Christmas dinner. On my way down to Winchester, I stuck my head in. Confirm I will be at Christmas dinner this evening. Had I booked? No, but I was invited. OK, we will fit you in. After a cold damp afternoon in Winchester, I return. I find a table has been reserved for me at the Bikers Night Christmas dinner. The full works, turkey and all the trimmings. Followed by a small slice of Christmas pudding served with brandy sauce. A new fleet of buses on the No 64 route Alton came into service last week. Officially came into service today with the introduction of a new timetable. The last couple of years has seen new buses introduced on this route. Free wifi and usb charging points. Very bad design of the usb charging points, low down between the seats making access very difficult. Though not as bad the new Goldline introduced on the Aldershot-Farnborough-Camberley route a few months ago where the usb charging points are even lower, and ideal for passengers to kick with their feet or rest their feet on. Same bus, internally different seats. On the No 1 Goldline, the usb charging points are almost on the floor. A power bank, indicating full, charged a couple of weeks ago and only used as occasional torch, to fully charge, what I thought would be a few minutes, from leaving Alton Station until approaching Winchester before indicating fully charged. Either low output or high capacity power bank. Power bank new and have not used before. I would not risk charging a phone or tablet, but quite happy to use to charge a power bank. Depressing to see an ignorant female with dirty feet on the seats of a brand new bus. This problem not restricted to this route, also on the Goldline route, passengers putting their dirty feet on the seats of new buses. On the trains, can be fined for feet on seats. Timetable improvements that should be made on this route, cut out the detour around Alresford, better connection with trains at Alton. On the new timetable, the buses are running an hourly late night service. Wednesday night bikers night at The Station Cafe. A stopover on my way back from an afternoon in Winchester. Tonight only about half a dozen bikers had turned up. Maybe too cold and dark, maybe they think now winter regime only once a month. No special, usually a special. 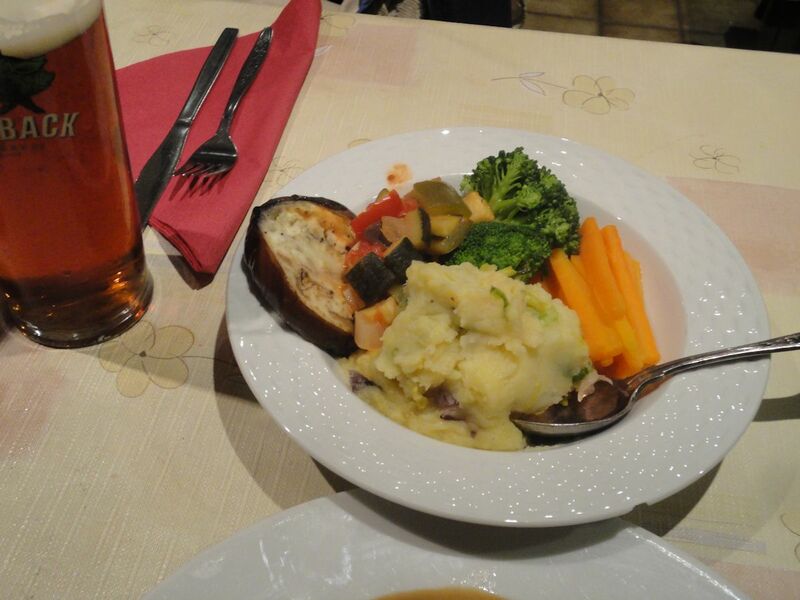 In September, I had regretted not having their moussaka, as it looked good. Last week they said moussaka today. No moussaka, I had looked forward to it. The chef offered to make moussaka just for me. I thought he was joking. But no. I popped to Waitrose, came back, and moussaka was served with a little salad. Until last week in Athens, I had never had moussaka. Sadly, it is typical pub fare, white chiller van hotted up. That is why I never have it. In Pieros Tavern, outside Protaras, I was told customers complained if they did not have moussaka made by his wife, as they could tell the difference. 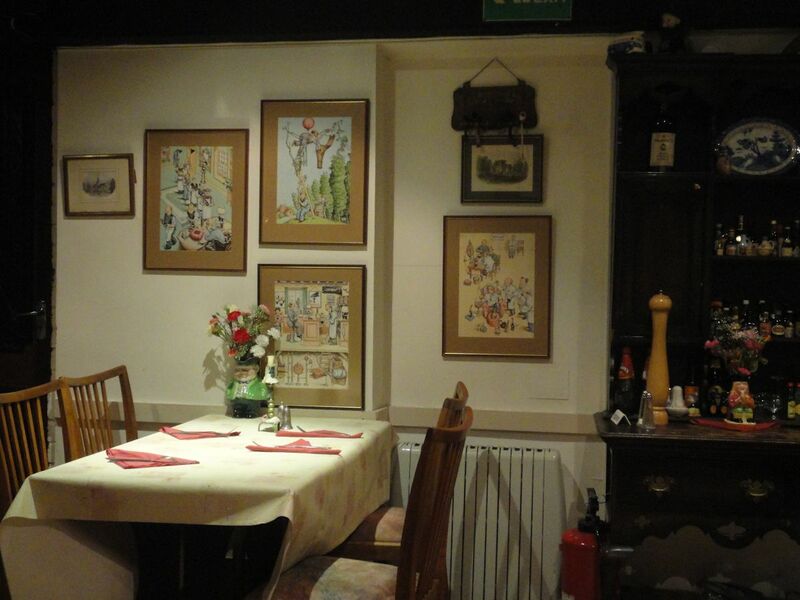 I had king prawns one lunchtime, shared with a friend, then on their last night before they closed, kleftiko. On both occasions their excellent red wine, first time a glass, second time, two bottles. But did not try their moussaka. On the side of a wall in Plaka, the recipe for moussaka, though I did not note it down. In Restaurant Plaka, souvlaki. But I thought, I cannot be in Athens and not have moussaka, therefore one night moussaka. 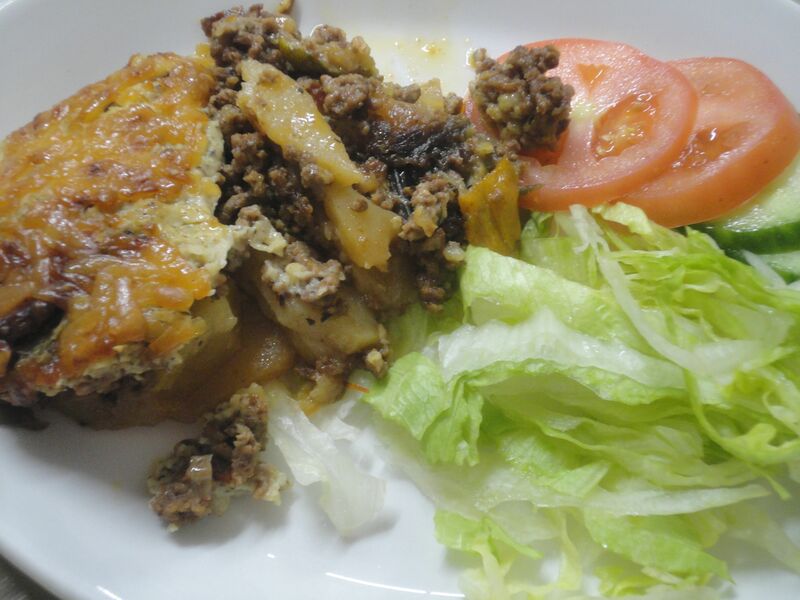 My first taste of moussaka. A huge portion, served with nothing else. 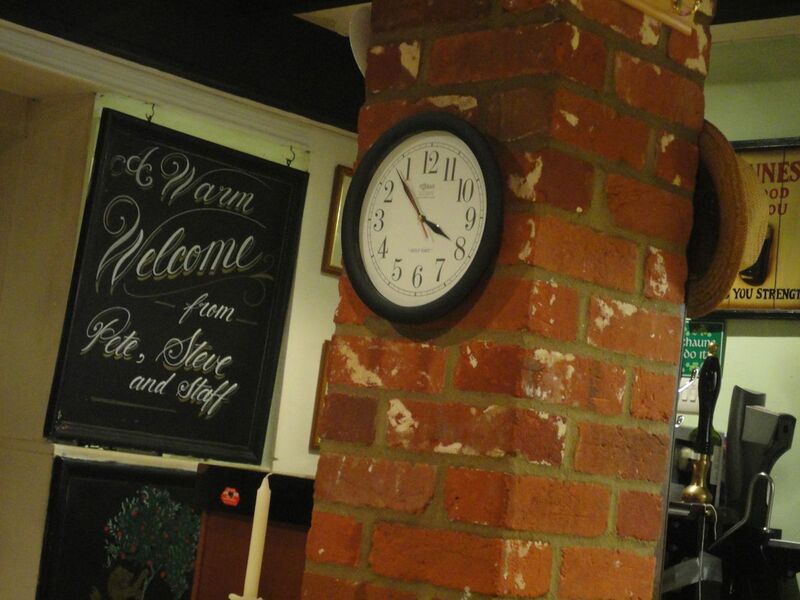 The Station Cafe has recently changed hands. Fears that it would be downhill onwards, have proved to be unfounded. 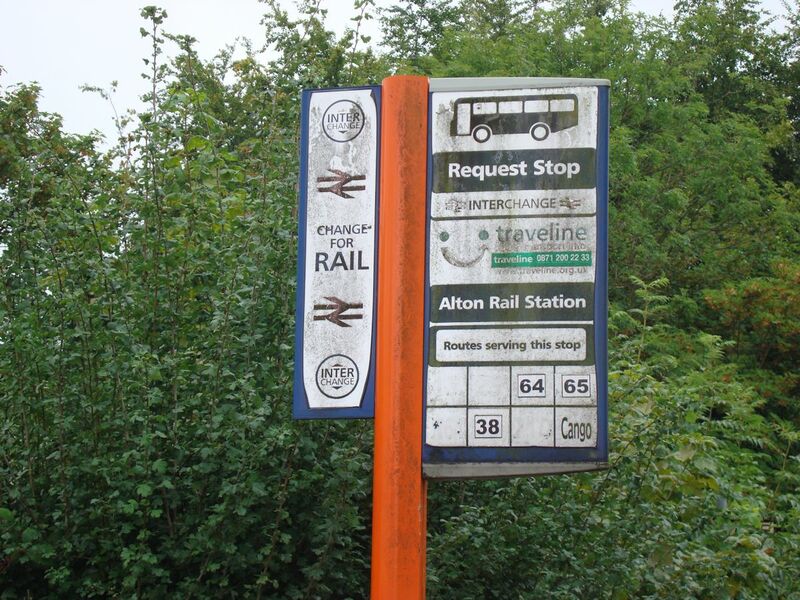 At Alton, the bus stop used to say bus-train interchange. It no longer does. The 65 bus used to come down from Guildford, change to a 64 bus at Alton Station, then carry on down to Winchester. And vice a versa. September last year, it came as far as Alton Station, turned around and went back to Guildford. The bus up from Winchester did the same. No warning, passengers who thought they were on a through bus, found themselves going back whence they came. The drivers were under no instruction to advise passengers to alight and change at Alton Station, as no longer a through bus. They were also under no instruction to wait for the connecting bus if late. 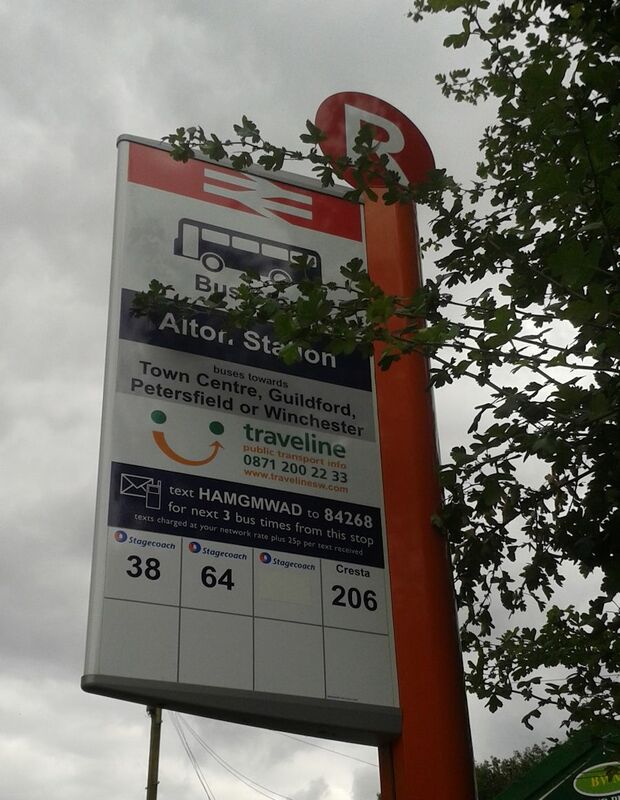 Now at the bus stop, a poster telling passengers to take a ten minute walk into the centre of Alton to pick up the 65 bus. It also no longer states bus-train interchange. What if it is raining, what if not capable of a ten minute walk, what if carrying luggage? This is an appalling way to run a bus service. Wednesday evening, on my way back from a visit to Winchester Christmas market, I alighted off the bus, walked through Alton, to eat at O’Connor’s Secret Garden. I knew what I wanted. Peter welcomed me in. 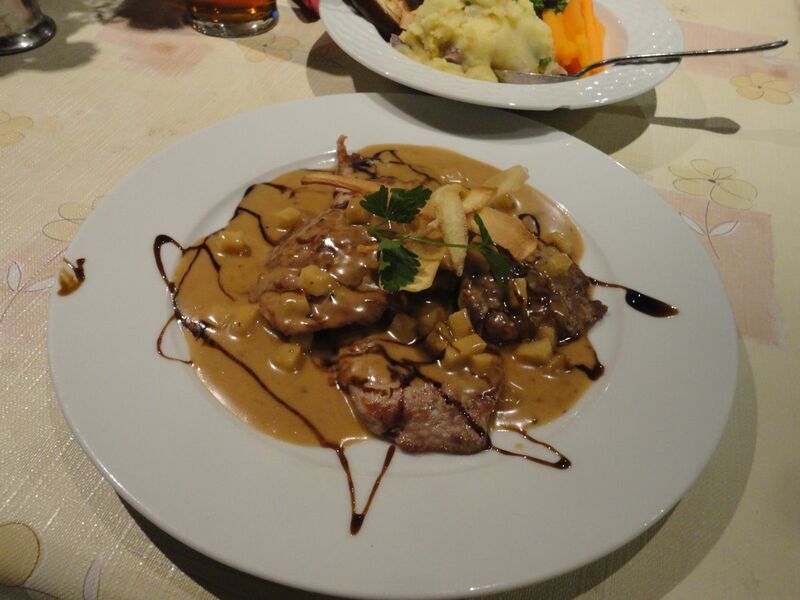 We do not have pork medallions on the menu, but we can do for you. Why did I have two menus? One was a Christmas menu. I was going to treat myself to steak. The Christmas menu was cheaper than having steak. Against my better judgement, I decided on the Christmas menu. A mistake, as not very good. Unusual for Peter, as food usually excellent. I recommended he ditched Hog’s Back Brewery and instead bought in from The Little Beer Corporation. And certainly not serve rubbish such as Fosters. Wednesday is street food day in Winchester. Excellent cappuccino off Jimmy Bean, but then I expect nothing less. I also had lunch, mozzarella cheese and tomato in bread hotted up in an oven, which was excellent. For dessert ginger shortbread, which was also excellent. Jimmy Bean, one of the few places in Winchester to get not only decent coffee, but also something decent to eat. Afternoon wandering around Winchester, bus to Alton Station. Bus arrives at Alton Station as train leaves. Either pop into Waitrose (I did not need anything) or find somewhere to eat. I decided on O’Connor’s Secret Garden. I alighted at one end of Alton and walked through Alton. Peter was surprised to see me, as not Saturday. I could have had gammon, but decided upon pork medallions with vegetables and colcannon potatoes. It was excellent, but then I expect no less in O’Connor’s Secret Garden. He asked what would I like to drink. I said tea, meaning the beer. I was served tea. Easy enough mistake to make. I did not think I would make the train, stayed for crumble. Not up to the standard of the main course, crumble should be crunchy. I washed it down with tea. I made the train with a couple of minutes to spare. For some years, the 64 has been timed to leave Alton Station at the same time the train arrives, guaranteeing most people miss the bus and have to wait half an hour for the next bus. The good news on the revised timetable, is the bus has been re-timed to leave five minutes later, meaning connection with the train, assuming of course the train on time and not delayed. That is the good news. The bad news the ongoing journey to Guildford. The 64 bus, would at Alton station, continue onwards to Guildford as the No 65. And likewise the No 65 from Guildford, continues onwards from Alton Station to Winchester as the No 64. Not any more. Buses go as far as Alton Station, then return from whence they came, the passengers having to change buses at Alton Station. No timetables on the buses. No announcement that necessary to change buses at Alton Station. The 65 passes by Alton Station, through Alton, then back to Alton Station to pick up passengers for Guildford. Drivers are under no instruction to wait for the connecting bus. These buses, or at least this route, was to have been cut. It has been granted a temporary reprieve until July 2016, with the passengers numbers being evaluated in March.